Snow Crab, Shrimp, Andouille Sausage, Corn & Potatoes simmered in a spicy, savory, lemon-rich broth. Available year-round. 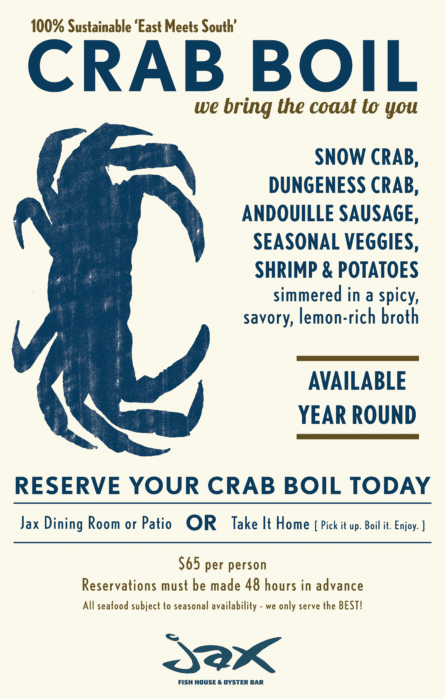 Reserve your crab boil today! All seafood subject to seasonal availability, we only serve the BEST!